The New York Islanders announced a groundbreaking agreement today, becoming the first professional sports franchise to designate an official tattoo shop. As part of the strategic partnership, Tattoo Lou’s will set up a tattooing and body-piercing station called the "Penalty Box" on the Nassau Coliseum concourse for 10 Islanders home games during the 2011-12 season. 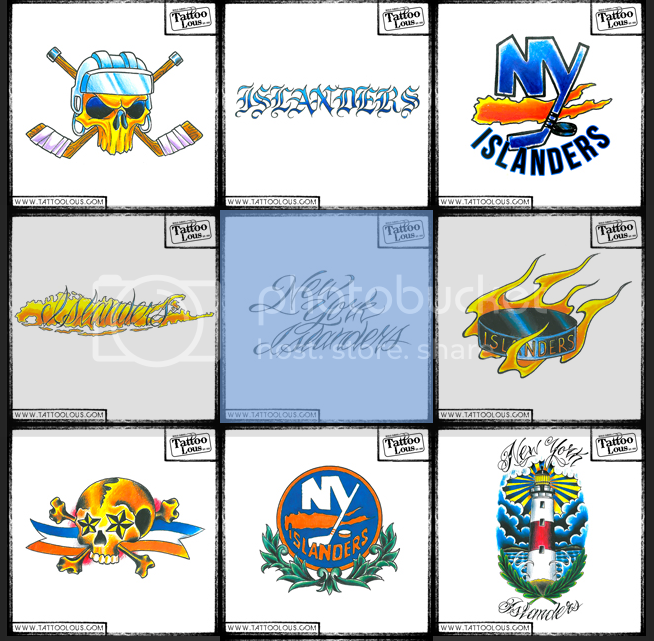 Tattoo Lou's "Ink Girls" will hang out in the box selling Islanders-centric body jewelry and tattoo-inspired Islanders t-shirts and sweatshirts.